Groups of up to three visitors collaborate to achieve a high score in a target shooting exercise. 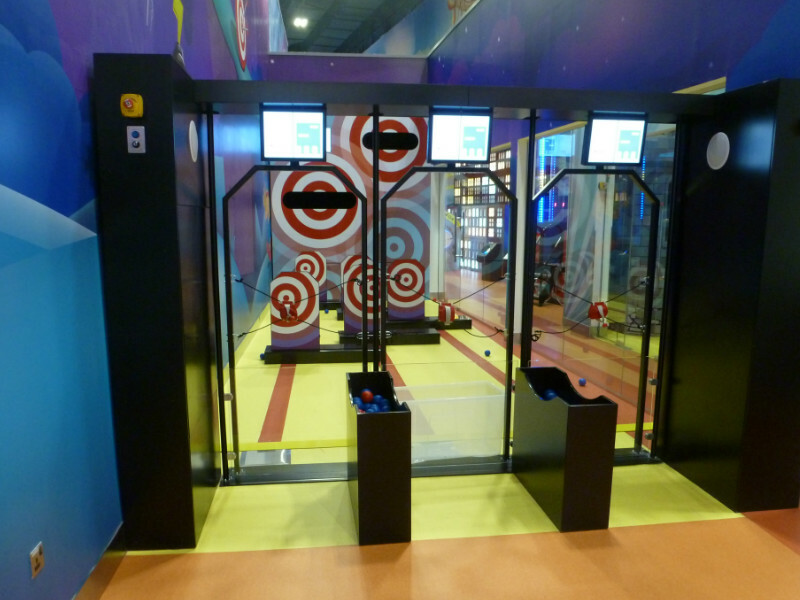 They use a slingshot to control the launch and trajectory of projectiles to hit six constantly moving floor targets and two wall targets of varying difficulty. 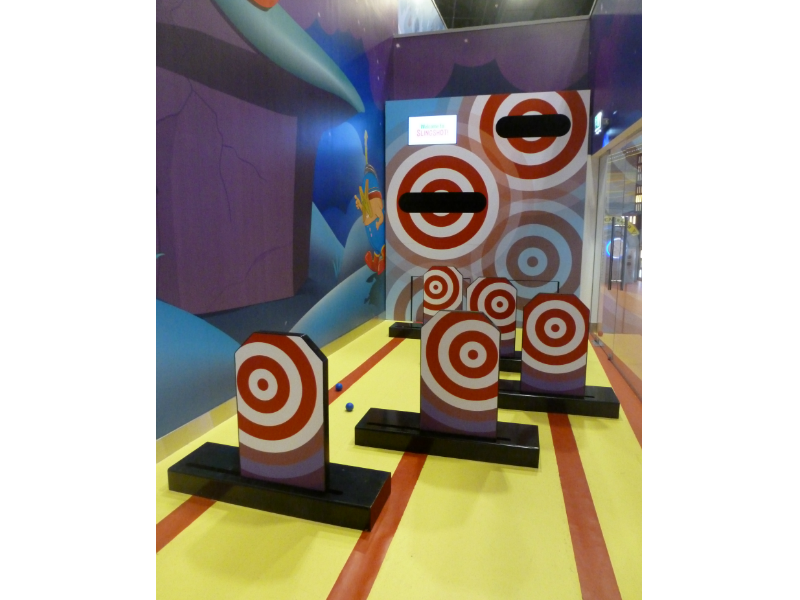 Floor targets at various distances from the users constantly move from side to side. 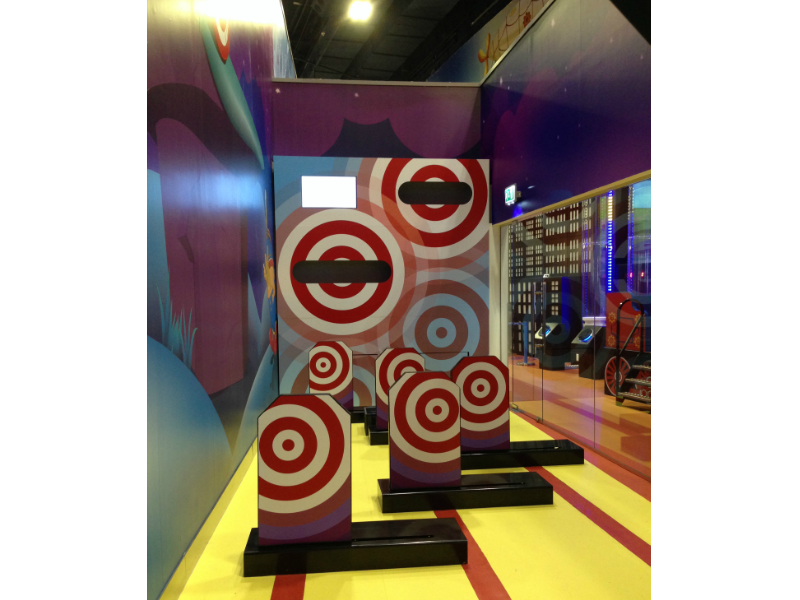 Floor and wall targets are responsive to impact and the audio track responds accordingly when impacts are achieved with a range of sci-fi ‘explosion’ noises. 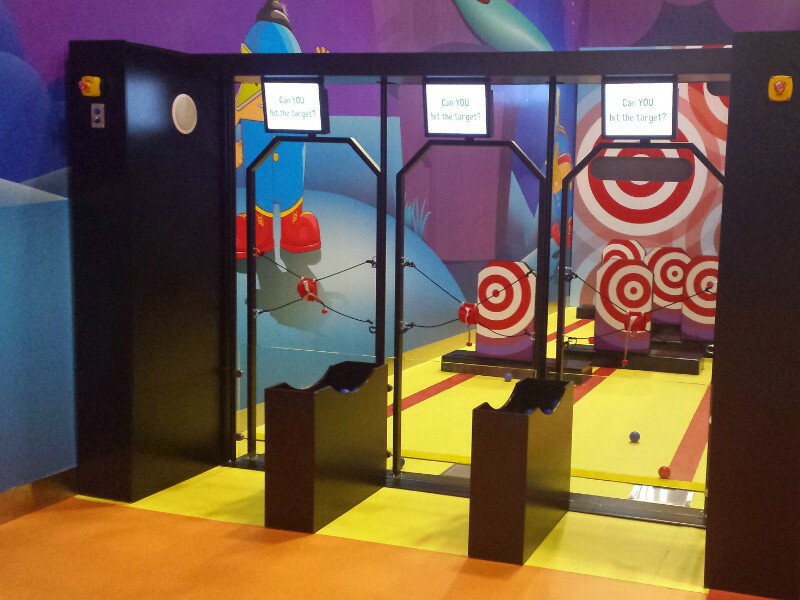 Each user has control of a four-string slingshot to fire projectiles at the various targets. A group score is updated throughout the game and is shown on the overhead screens.